Cheap plane tickets to Philippines are possible to find if you plan your trip in advance. Look for a Philippine plane ticket during the mid-week, Tuesday, Wednesday and Thursday, and you will have the best chance of finding a cheap airline ticket to Philippine. Weekends are popular with the majority of tourists, and Mondays and Fridays are busy with business travelers, so try not to travel Friday through Monday. One option is to fly into one of the primary gateway or hub destinations in Asia - Hong Kong, Singapore, Tokyo, or Bangkok. 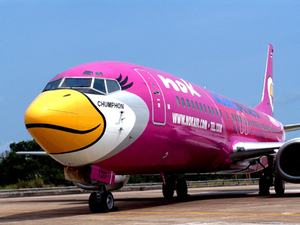 From there you can get a flight on a regional budget carrier to almost any destination in Asia. This is one way to save some cash and get cheap flights to Philippines. Be aware of the peak traveling season, Christmas and New Year's for example, when airfare increases. Travel during the off-peak season if possible, to get cheap plane tickets to Philippines. In addition, pay attention to the fact that summer peak traveling season might be a different time of year than in your country. For example, summer in the Philippines starts in March and ends in June. Also, pay attention to the major national festivals or events in the country when ticket prices also increase. Several major carriers offer flights to the Philippines on a daily basis. Almost all of the full service carriers have flights to Manila or Cebu in the Philippines. Most of the flag carriers such as, Philippine Airlines, Japan Airlines, Korean Air, Thai Airways, Singapore Airlines, and Malaysia Airlines operate frequent or daily Manila or Cebu flights. Cheap plane tickets to Philippines are going to be found on the budget carriers offering no-frills service compared to the full service airlines. Air Asia, Cebu Pacific, Jetstar, Dragonair, Tiger Airways, Air Busan, Jetstar Asia, Zest Airways, Hong Kong Express, and JinAir are a few of the budget airlines in Asia offering cheap flights to Philippines. Currently Philippine Airlines is the only airline flying direct from North America to the Philippines. However, Continental Airlines offers flights from the U.S. via Guam and other Micronesia destinations. Also, Hawaiian Airlines flies between Honolulu and Manila non-stop. Several airlines provide connecting flights to Philippines from the major hubs in Asia. Delta Airlines flies from the U.S. to Manila via Tokyo, Cathay Pacific operates flights to Philippines via Hong Kong from several major cities in North America, Japan Airlines (JAL) offers flights to Manila via Tokyo from North America, also Korean Air, EVA, and Malaysia Airlines all offer service to the Philippines from the U.S. connecting from hubs in South Korea, Taiwan, and Kuala Lumpur. Lufthansa and KLM are the major European airlines with flights to Philippines via hubs in Asia, Europe, or the Middle East. Typically they connect through a major city, such as Hong Kong or Singapore in Asia, or through a Middle Eastern location such as, Dubai or Abu Dhabi. One option for cheap plane tickets to Philippines is to fly to one of the hubs in Asia, then opt for one of the budget carriers in Asia. Qatar Airways which is the flag carrier of Qatar, Saudi Arabian Airlines, Gulf Air which is the principal flag carrier of the Kingdom of Bahrain, and Emirates the international airline of United Arab Emirates, all provide a Philippine plane ticket with varying schedules. Also, Etihad Airways the national airline of the United Arab Emirates flies daily betweeen Manila, Philippines and their base in Abu Dhabi. Qantas, Malaysia Airlines and Philippine Airlines are the major full service carriers that offer a Philippine plane ticket from Australia with service from Sydney, Perth, and Brisbane. Some of the budget carriers also provide non-direct cheap plane tickets to Philippines, such as Tiger Airways and AirAsia for example.